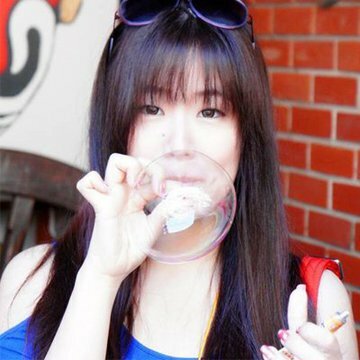 Malinee Chuangcharoendee, also known as Minny, was born and grown up in Bangkok, Thailand. After two years of language and culture studying in Chulalongkorn University, she realised that the program did not meet with her future career plan, then decided to make a crucial change to her life. With the help of Overseas Chinese administration, she applied for University in Taiwan and successfully entered business and administration department at Soochow University. After a semester of hard work, a scholarship for Overseas Chinese student was granted as an honour. However, the achievement was not everything, she is also a member of Soochow University Students’ International Service Club (SUSIS) and is expecting for another big progress. Production assisted by IOH Helper Pin-Chia Chen. Taiwan is a country that most of Thai people experience through tourism, but only just a few people who really experience through overseas study; it is another brilliant choice for student who wants to learn Chinese language and culture. 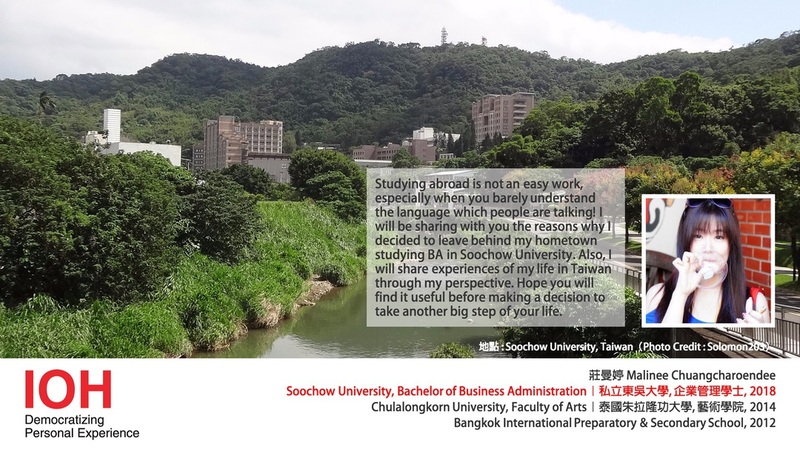 During this talk, you will be hearing about life abroad of Malinee, an overseas Chinese student, who are currently studying bachelor degrees in business administration at Soochow University in Taipei, Taiwan. The talk included a brief in introduction of Soochow University, faculty of business, as well as the reasons why she made decision to go study abroad, even though she was studying in faculty of arts at Chulalongkorn University, and conclusion about what she had gained from studying abroad in Taiwan. For people who is now in the progress of making decision to come to Taiwan for overseas studying, you might find this talk interesting and useful.